Support us by shopping with our partners - at no extra cost to you! We collaborate with a range of businesses and organisations across the UK who help us fund our important work with their kind donations and support. We have an established relationship with Hardy of which we are intensely proud. Hardy has a long heritage as not only purveyors of the finest tackle, but as champions for wild salmon and trout. 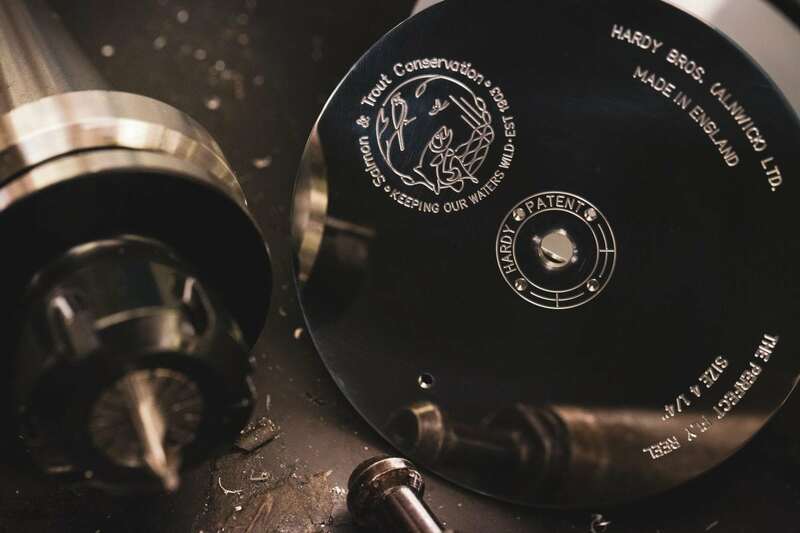 Established in 1872, Hardy values its tradition as well as its founders' endless quest for improvement. We are extremely appreciative of the continuing support that Hardy’s provides for our work on salmon, trout and their habitats. They are a great environmental example to the rest of the tackle trade, investing in our work by providing the flagship lot for our 2018 Annual Auction. Needing little introduction, since 1973 the Patagonia brand has been synonymous with sustainability, ethical trading, conservation and the outdoors. This global clothing company is a key donor to our work across the UK to protect and improve the environment for, not only salmon and trout, but all the wildlife that relies on our waters. It is a relationship that aligns perfectly with how our organisations view the world, and we are very proud to be working alongside such an inspirational brand who go above and beyond to take a stand for our environment. 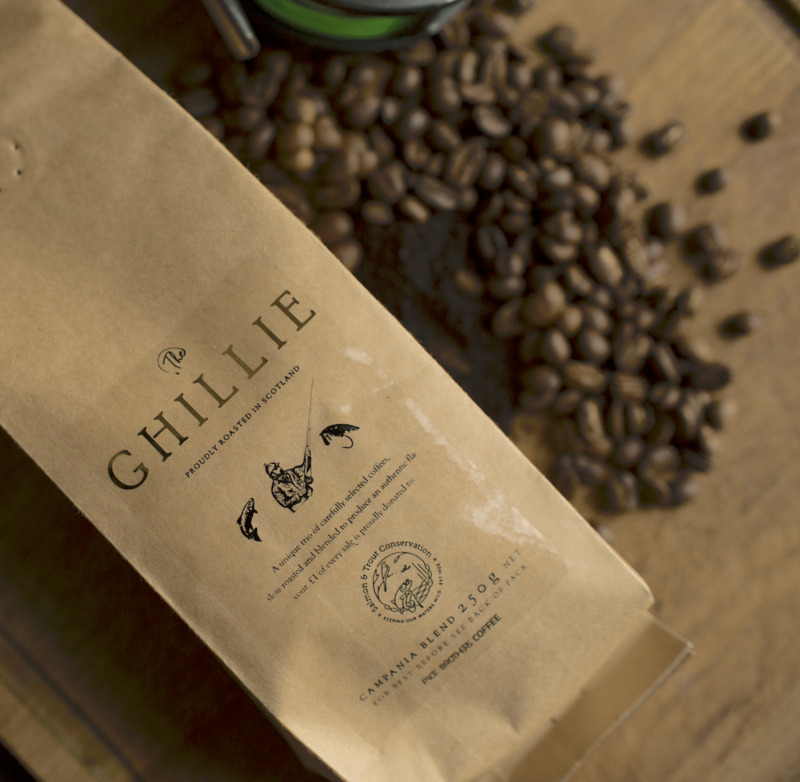 This is the second of four coffee blends to be released from the Pace Brothers. This blend contains Arabica from the Northern Province region of Quang Tri and Bold Bean Robusta from the Highland Region of Lam Dong. This coffee has the versatility to be enjoyed at any time of the day in varying strengths, dependant on how you chose to enjoy it. All coffee is Rainforest Alliance Certified. By purchasing this, you are helping to make a difference on the ground to conservation and the understanding of wildlife and the landscapes essential for their survival. Based in the highlands of Scotland Wild Rise Co. is a specialist fly fishing travel business, offering inspiring Packaged Tours as well as a Private Guide Service. Guests enjoy access to some of the most historic, exclusive and sought after fly fishing destinations in Scotland, in some of the most private, remote and beautiful locations. ​Wild Rise is founded on strong conservation principles and a belief in the importance of wildnerness and solitude in peoples lives. With a deep understanding of the underwater environment comes respect and a sense of responsibility ​Consequently Wild Rise operate a range of policies to minimise their impact, these include: light fishing pressure, 100% release, barbless hooks, low impact photography and electric outboards wherever possible. Amazon donates 0.5% of the net purchase price (excluding VAT, returns and shipping fees) of eligible purchases to S&TC when you use our link. Support us simply by doing your normal Amazon shopping - at no extra cost to you - via smile.amazon.co.uk. Please help support Salmon & Trout Conservation by shopping online. S&TC members automatically have complimentary Public Liability Cover for the activities of salmon, trout and coarse fishing. The limit of the indemnity is £2,000,000 and there is an excess of £500 each and every 3rd party claim. Total Discounts of up to 37.5%* in addition to excellent basic rates. £25 of your Annual S&TC Subscription will be reimbursed to you every year that you are a policy holder. * Discounts given for increased excesses, no claims and a central station alarm connection. Any insurance will be subject to a satisfactorily completed proposal form and terms may vary. Could your business support us by donating a % of sales and/or collaborating on campaigns? We are always on the lookout for well aligned partners who support our values and beliefs. If you wish to help us protect wild salmon and trout in a consistent manner, and would benefit from some brilliant exposure to our engaged, aspirational and large audience, then please contact our fundraising manager, Guy Edwards (Guy@salmon-trout.org) for an informal chat about building a mutually beneficial relationship.